Russian soprano Anna Khrapko graduated from the Gnessin Academy of Music in 2015. Prior to her vocal studies she obtained a degree from the Moscow State University of Fine Chemical Technologies. In the autumn 2018 Anna Khrapko joined the ensemble of the Bolshoi Theatre and will be heard as Micaela/ Carmen, Musetta/ La Bohème and Barbarina/ Le Nozze di Figaro. Anna Khrapko has performed as a soloist with the Chamber Choir of the Moscow State University, the Polish Symphony Orchestra Stasicz, the Symphony Orchestra of the Ippolitov-Ivanov Musical and Pedagogical Institute and the Bulgarian Symphony Orchestra Camerna Opera. 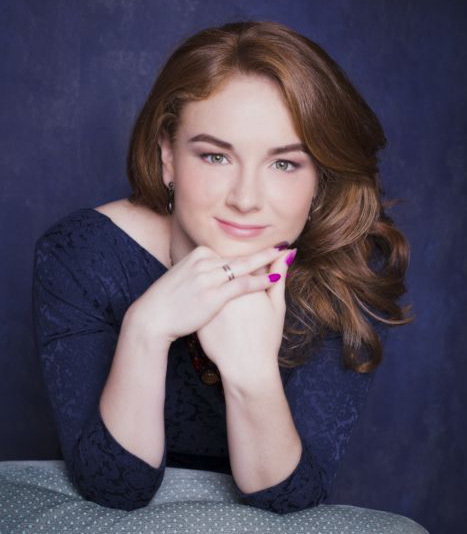 Her concert repertoire includes soprano solos in Mozart’s and Fauré’s Requiem, J.S. Bach’s The Mass in B Minor, Orff’s Carmina Burana, Pergolesi’s Stabat Mater, Rachmaninov’s All-Night Vigil, Vivaldi’s Magnificat and W.A. Mozart’s Requiem. She is a prizewinner of the International Competition Vesenny Perezvon 2012 (1st prize), the International Contest for Musical Performers and Composers 2013 (3rd prize) and the Young Talents of Russia 2014 (1st prize). In 2018 she reached the semifinals at the L’assoluta Virginia Zeani Grand Prix Competition.